The Internet of Things (IoT) is here to stay, and Gartner predicts there will be over 26 billion connected devices by 2020. This is driving an explosion of data which offers tremendous opportunity for organizations to gain business value, and Hadoop has emerged as the key component to make sense of the data and realize the maximum value. On the flip side the surge of new devices has increased potential for hackers to wreak havoc, and Hadoop has been described as the biggest cybercrime bait ever created. Data security is a fundamental enabler of the IoT, and if it is not prioritised the business opportunity will be undermined, so protecting company data is more urgent than ever before. The risks are huge and Hadoop comes with few safeguards, leaving it to organizations to add an enterprise security layer. Securing multiple points of vulnerability is a major challenge, although when armed with good information and a few best practices, enterprise security leaders can ensure attackers will glean nothing from their attempts to breach Hadoop. 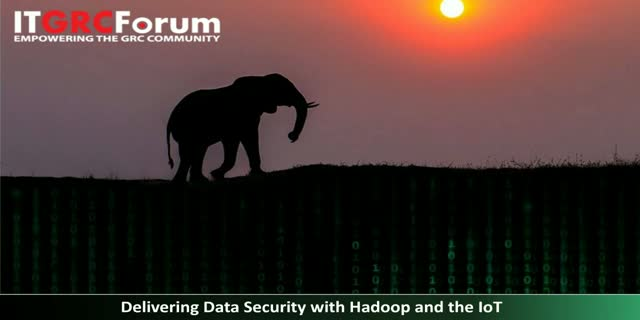 In this webinar we will discuss some steps to identify what needs protecting and apply the right techniques to protect it before you put Hadoop into production.